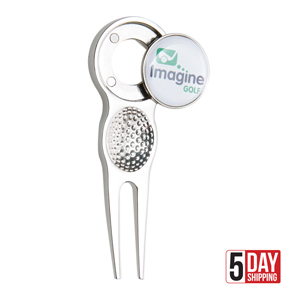 Unique silver fork with a thumb recess for ease and a unique "push off four magnet" feature for removing the metal magnetic marker that is printed full colour to your design and domed. Dimensions : 82mm x 28mm x 5mm. Print Area : 22.4mm diameter.